Fresh from university, Emma Woodhouse arrives home early to embark on adult life with a splash. Not only has her sister been whisked away on a motorbike to London, but her astute confidant, Miss Taylor, is at a loose end watching as Mr Woodhouse worries about his girls. Someone is needed to rule the roost and young Emma is more than happy to oblige. Often found rearranging the furniture at the family home of Hartfield or instructing a new protégée, Harriet Smith, Emma is in charge. But for someone who knows everything, Emma doesn't know her own heart. And there is only one person who can play with Emma's indestructible confidence, her friend and inscrutable neighbour George Knightley - this time, has Emma finally met her match? Jane Austen's Emma is a finely crafted novel. Clues are carefully woven throughout the story, so that the astute reader can pick up on the mystery of the novel. McCall Smith's Emma lacks the finesse of the original. I had really high hopes for The Austen Project, but after reading Val McDermid's take on Northanger Abbey and McCall Smith's take on Emma, I think that it's safe to say that this project is not for me. There really is no author like Austen, and these retellings are quite weak. Maybe I've been especially hard on this one because Emma Woodhouse is my favourite Austen heroine, but I was immensely disappointed with McCall Smith's offering. In order to modernise an adaptation, you need to follow the general plot of the original, while making changes that both update it to a modern setting and make sense within the original narrative. It's what made Clueless such a great modernisation of Emma and Bridget Jones's Diary an interesting take on Pride and Prejudice. 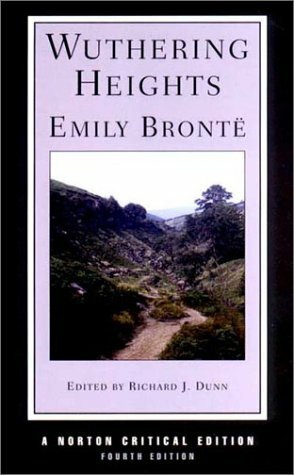 The original Emma is an incredibly sheltered young woman, who is wealthier and therefore social superior than almost every individual in Highbury. She has no equal in Highbury, and literally befriends Harriet so she would have somebody to walk with. This Emma is unlikeable, selfish and nasty. It's kind of implied that the only reason Emma befriends Harriet is because she is overwhelmed by her beauty... to the point that Emma wonders if she is gay. The original Emma was upfront with Harriet about Elton's proposal and takes her share of the blame - this Emma spins a web of lies in order to come out completely blameless. Emma is also supposed to be clueless in regards to Elton's true character, only realising the littleness of his character after his proposal - but here, Emma is completely aware of it the entire time! Similarly, my favourite part of the original Emma is the mystery surrounding Jane Fairfax and Frank Churchill - this is similarly downplayed. Frank Churchill is an overgrown child, Jane Fairfax, while accomplished, has none of the goodness of the original, and both manage to be unlikeable in the little page-time they have. Harriet is even thicker than the original, so I was very surprised when [SPOILER ALERT!] she managed to hide the fact that she'd been dating Robert Martin the entire time from Emma. Knightley barely features in the book, which makes one wonder when Emma had time to fall in love with the man. Their interactions are reduced to Knightley chatting to Emma on his way out the door. The original Miss Taylor was Emma's friend and mother figure as well as governess, this Miss Taylor is entirely responsible for Emma's disgusting personality. The first quarter of the book is filled with descriptions of Emma's early life, which means that the first quarter of the book is more tedious than the rest. It does nothing to advance the plot, nor provide any real insight into Emma's character, except to add to the perception that she's a horrible human being. This novel is about half as long as the original, but it took me twice as long to read, and the entire time I was checking how many pages I had until the end. If you want to get into Austen, read her novels. The Austen Project is just a very pale imitation.